Laura possesses extensive legal and professional knowledge of federal environmental regulations, including the National Environmental Policy Act, Clean Water Act, National Historic Preservation Act and the Endangered Species Act. She uses her education and experience to better advise and represent her clients when obtaining permits, resolving disputes, and overseeing a wide variety of governmental and private environmental projects. Through careful planning, research and an in-depth understanding of the law, attorney Benz helps her clients confidently address and resolve their legal issues. 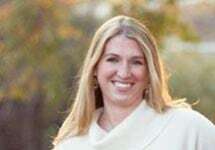 In addition to her legal and consultative services, Laura also performs pro bono legal services in her community for minor criminal and civil matters and also is involved in the Georgia Legal Military Assistance Program. To learn more about Laura, her practice, past successes or to schedule an appointment, contact her Peachtree City law office.